Let me preface this post by saying that no one knows EXACTLY what happened in a situation but the people directly involved. and pretty much any time. Even when it’s not open. 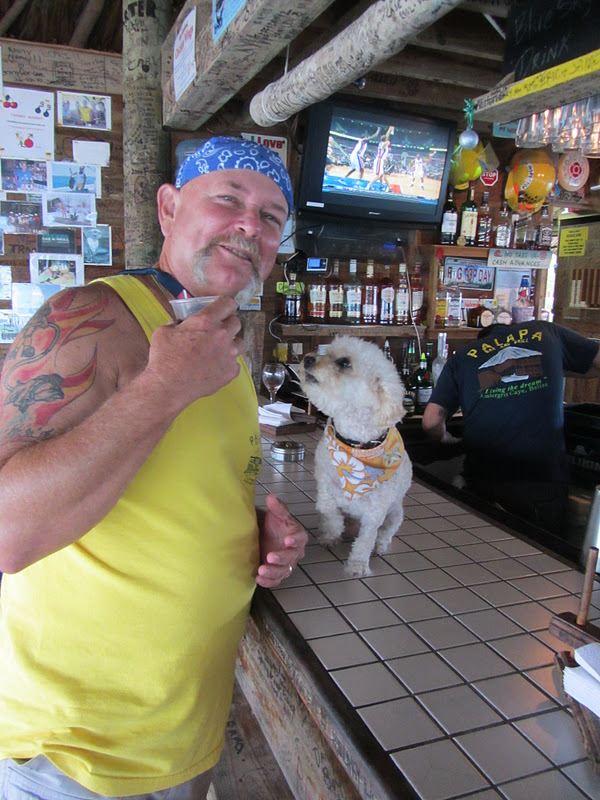 And owners Jodie and Scott, who have run the spot for at least 5 years now, are very popular with San Pedro residents and their own staff. 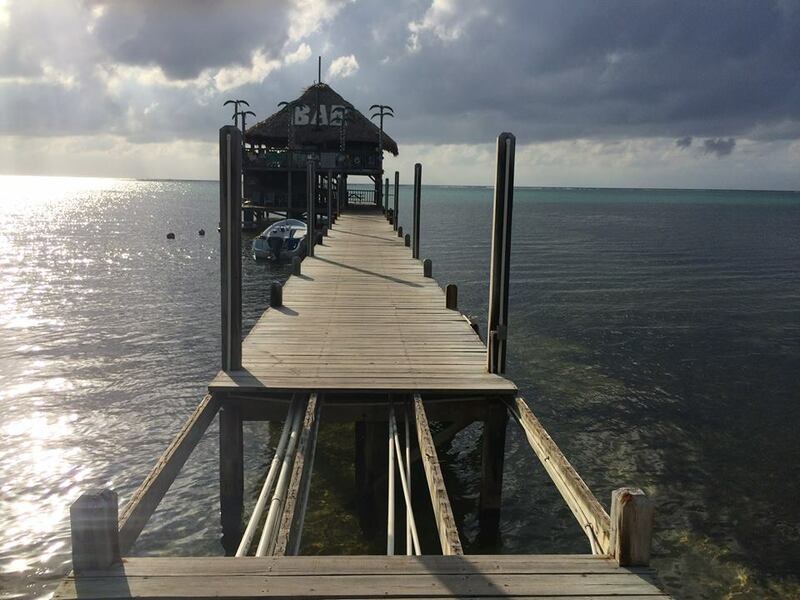 SO…the property, that includes the bar, the dock and a lots with a small-ish condo building just south of the bar, has been for sale for a while (years) and has just recently sold. You can make the condos out just left of the bar in this picture. 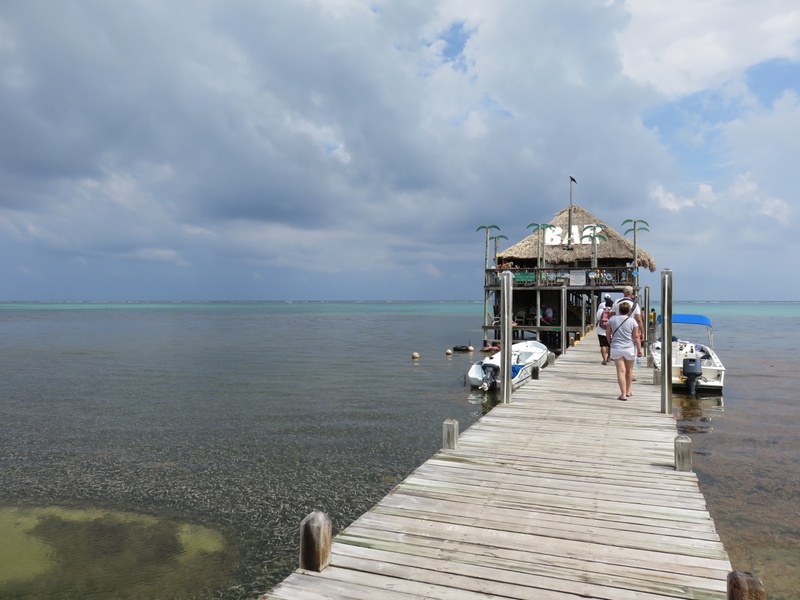 My favorite way to approach Palapa is by sea. 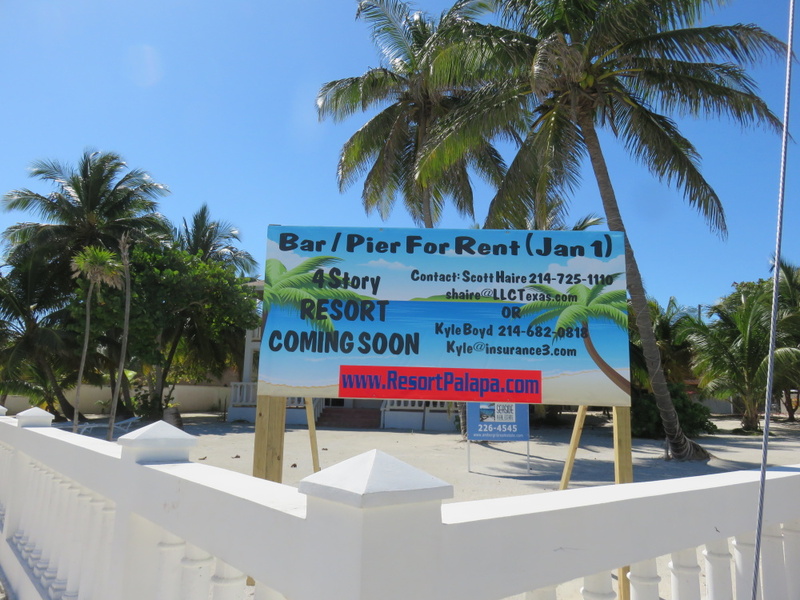 And so when Ambergris residents saw this sign – put up just about a month ago – there were many shocked reactions. 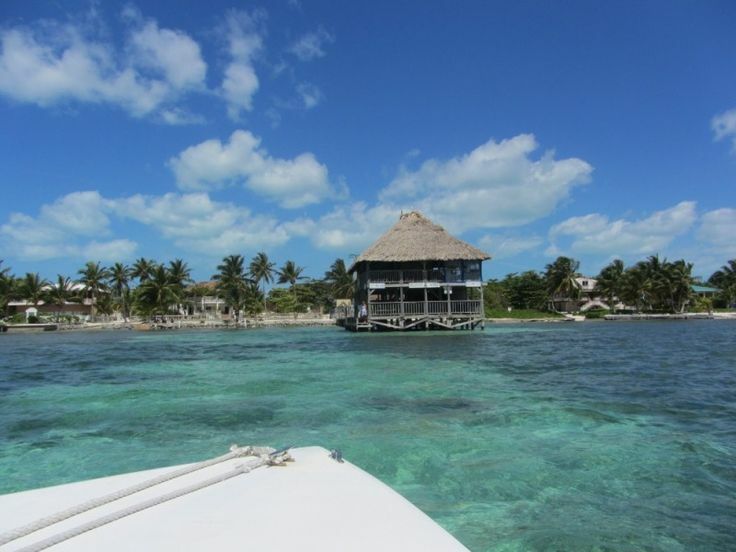 Four story condos in the beautiful, residential Tres Cocos area? And wait…what? 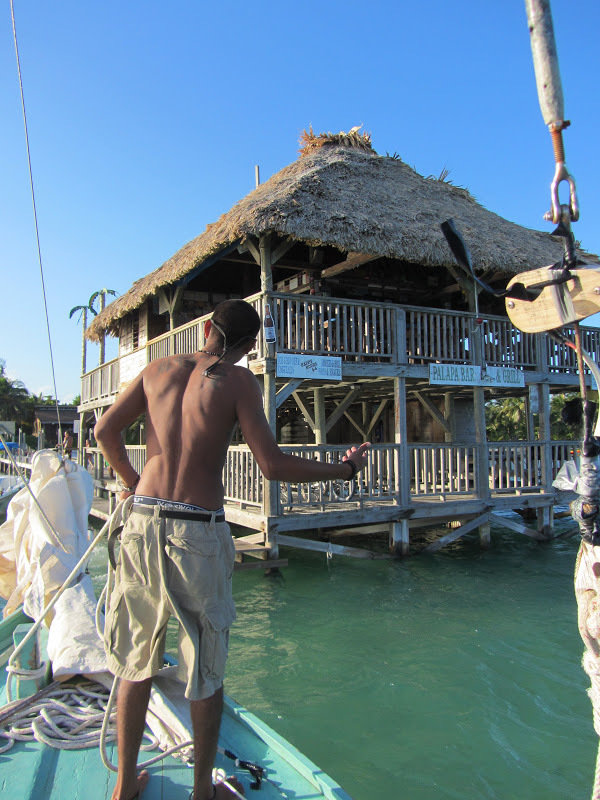 The Palapa Bar dock & building has been sold and they are looking for new renters? Scott and Jodie have worked hard to make this perfectly situated spot busier than ever…why would they want new managers? 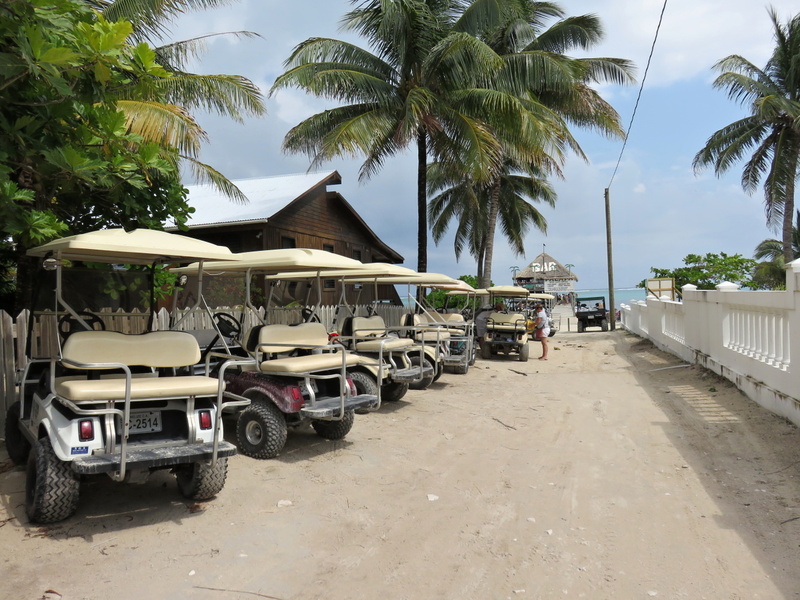 ResortPalapa.com is not up and running. Personal dispute…money issues…I do not know why Mr. Kyle Boyd is looking to make the switch. But as the new owner of the property, it is his prerogative to make changes…I guess. He is looking for new management and I am hearing a much higher rent for this uber-popular, let’s call it iconic, island locale. Resigned to that, I could only wait to hear more. And then, just a few days ago, there was a new development. 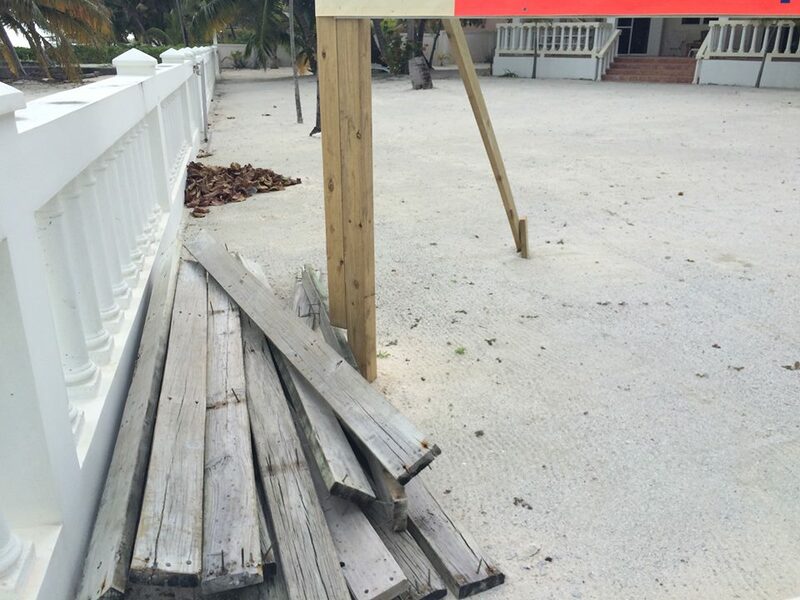 Scott received a call early in the morning to tell him that someone was removing the boards from his dock. Apparently the owner, without speaking to Scott and Jodie, felt that they hadn’t paid March’s rent. So he had the boards removed before they arrived at work. A bit of a tiff ensued, the police were called and the couple was able to produce both a picture of the check they had paid with AND the receipt from the bank. The electric bill and the rent for March. Paid. Only when the owner called his lawyer in the states, did he admit his mistake and have the boards replaced. Interesting way to do business. Just asking would seem a whole lot easier. All that said…the bar was open on Saturday for business and this has been cleared up…for now. As gossip and news spread like wild fire on the island, Facebook especially was ABUZZ on Saturday and Sunday with the news and photos. Many RALLIED to support the bar managers on Sunday afternoon. I stopped by to check out the situation and we took the very last parking spot. 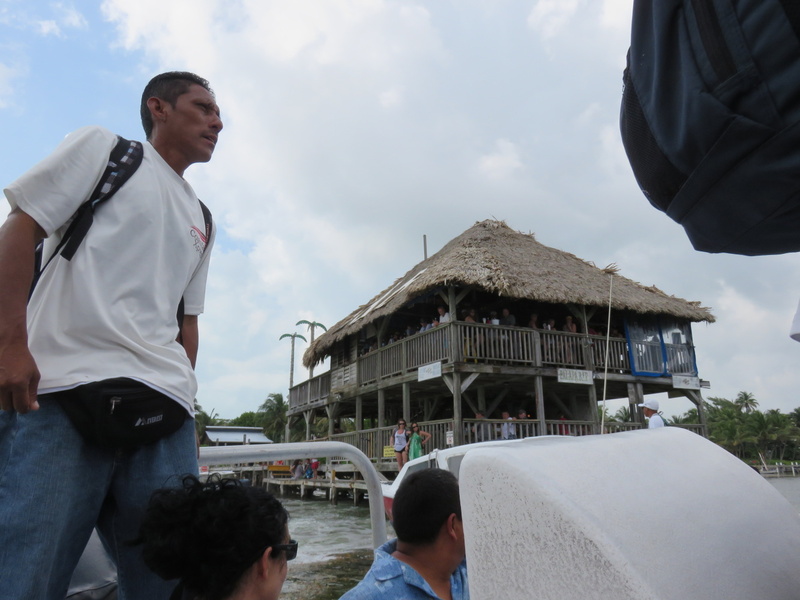 I hung out for about an hour – chatted with the owners and some of the customers and then caught a boat to my next locale. Leaving live music and the place packed upstairs and down with more people arriving. I guess, here’s the thing. 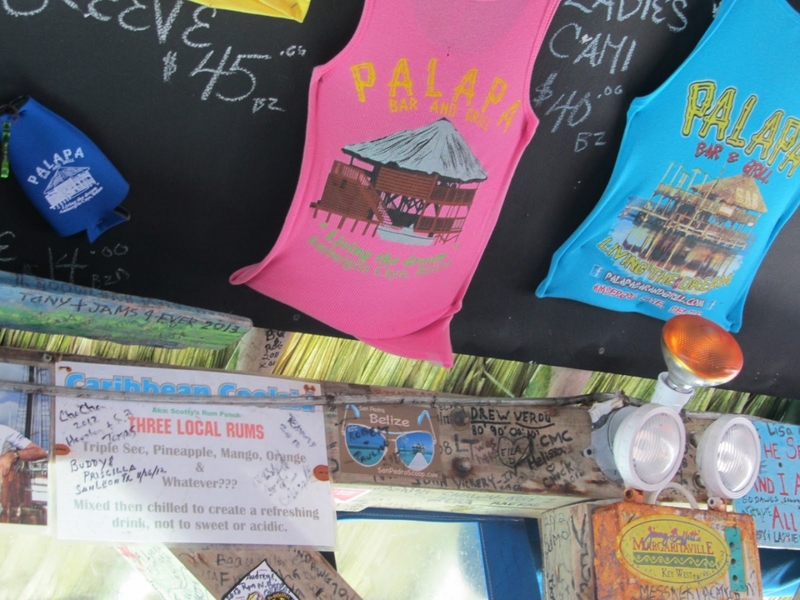 This new owner is…well…new to the island. And, from what I gather, has only been down here part-time. 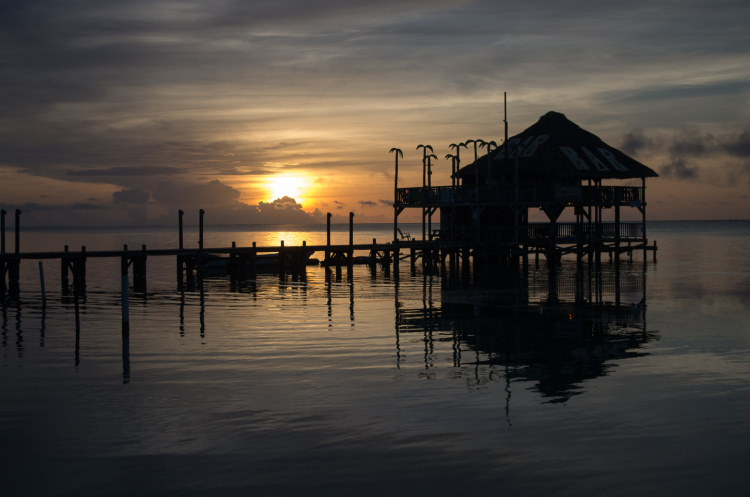 There is still time to “do the right thing”…to meet his neighbors, residents and locals, to ask lots of questions and talk very little, to listen and get to know the caye. Hopefully this incident will be filed in that “Remember that Time That crazy Thing Happened At…” file. Pollyanna in me wants everyone to get along. Hardly realistic but so much nicer when we do. Again, there are two sides to all stories. So I will let you know if/when I learn more. 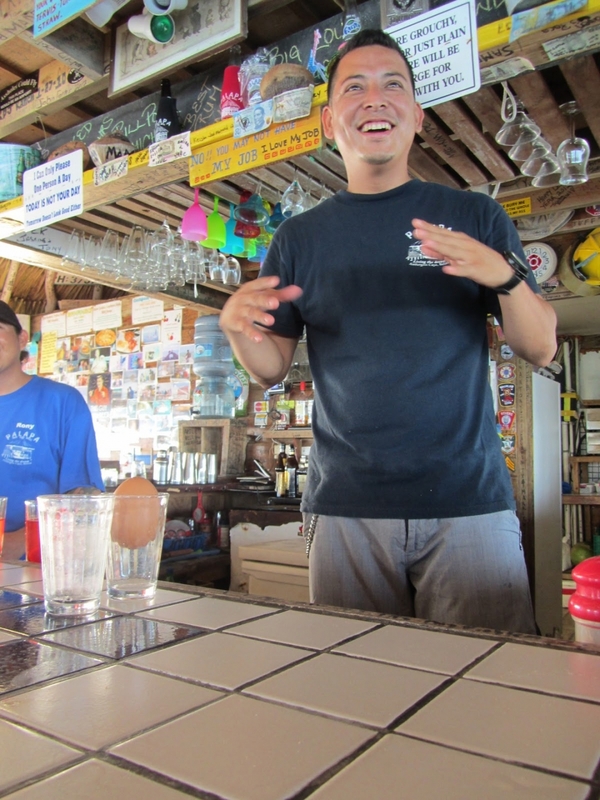 Long live the Palapa Bar. Still open for business…and still an amazing place. And a picture of Scott with his dog Sunny. 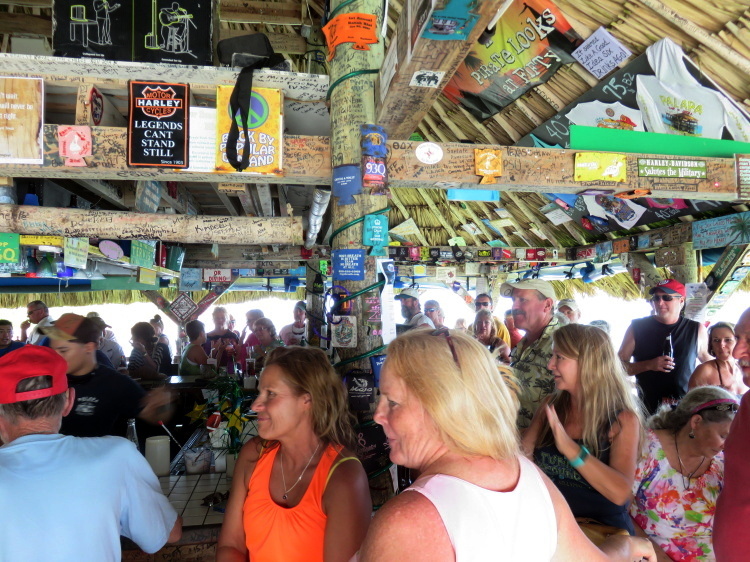 Lazy Lizard…….Palapa Bar……what’s next? Elvi’s????? Ugh. I cannot handle all of these changes and I don’t even live there! I just want to come down next month, relax and enjoy all San Pedro has to offer as well as start looking at places to live. 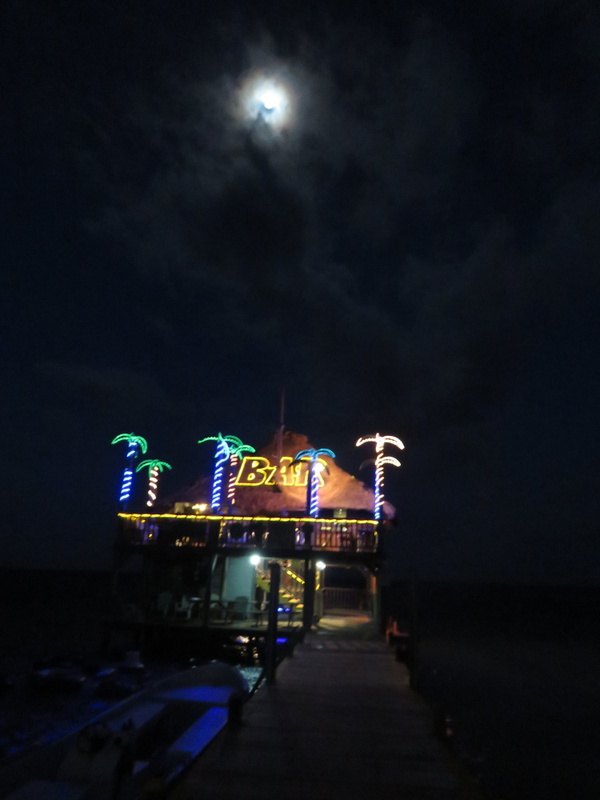 All I know is I plan to spend my *cough cough* 45th *cough* b-day at Palapa’s on 4/21. This new owner better not do anything to mess this up!